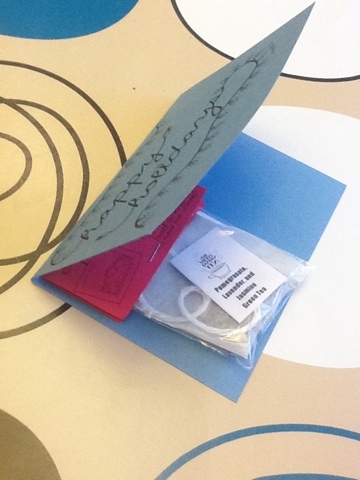 homemade gifts | ARTZCOOL'S BLOG! 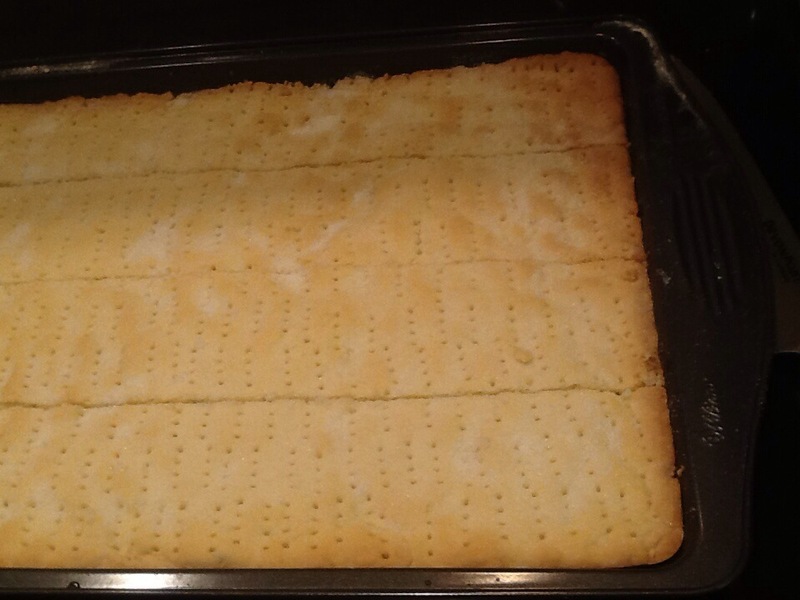 I could tell you that this amazing and delicious shortbread recipe was handed down in my family for generations…but I would be lying. 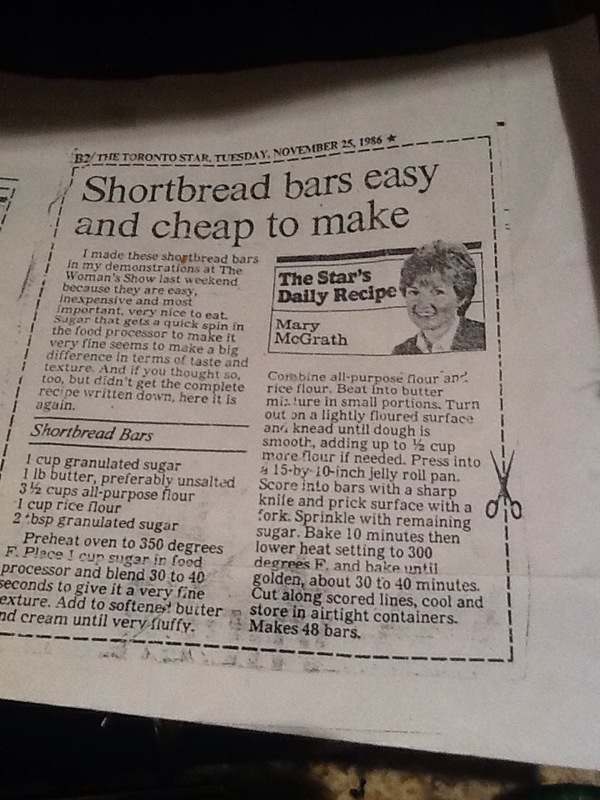 So, instead I will come clean and admit that the recipe is actually from the Toronto Star circa. 1986…but it was given to me by my mother. It is really scary that 1986 doesn’t seem like that long ago… (it’s actually only 27 years ago). I know…that means I am getting OLD! Speaking of getting old, I have had a few moments like that lately. The other day, I was working with a grade 7 class and somehow the topic of 9/11 came up. 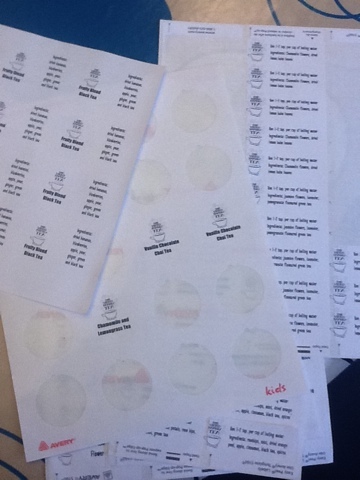 I asked the class how old they were when it happened, and where they were or what they remembered from that day…. it turns out that most of the class hadn’t even been born when it happened! 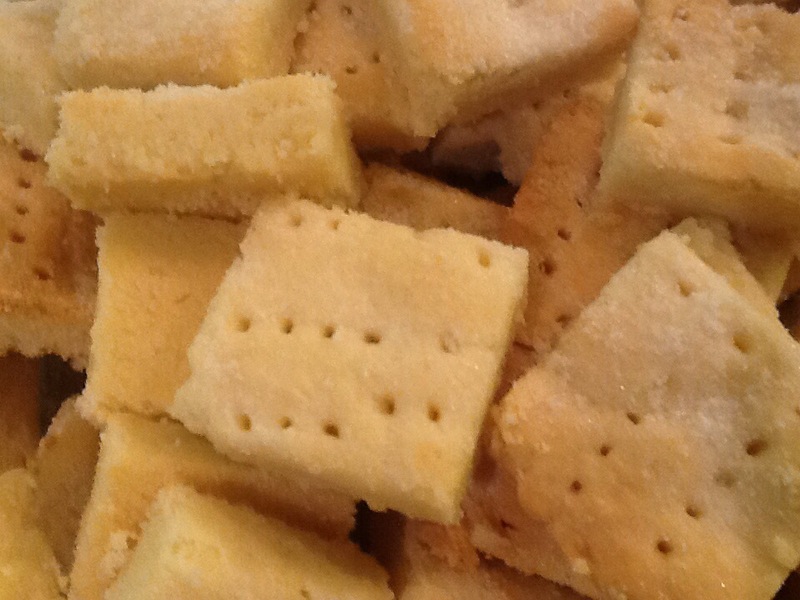 Anyways, enough about me feeling old, let’s get back to the shortbread! 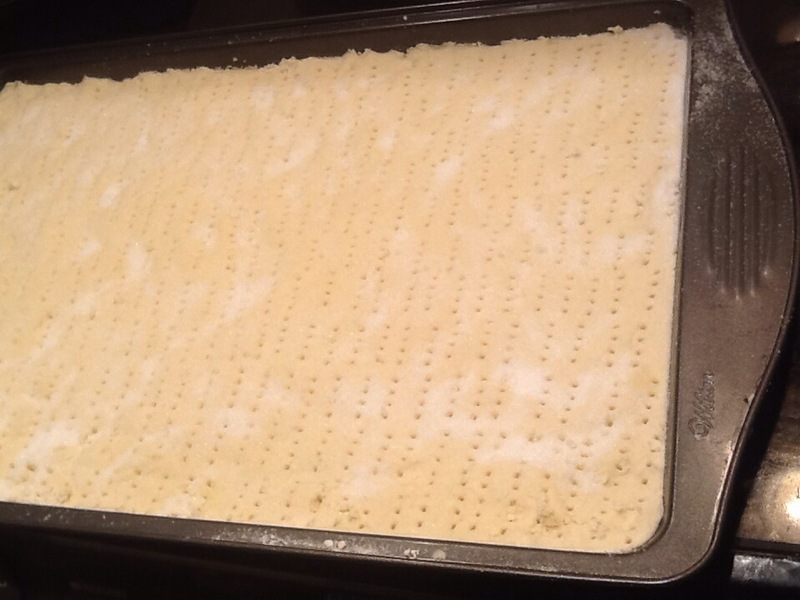 You need: 1 cup rice flour, 3 1/2 cups flour, 1 pound of butter, and 1 1/4 cups of sugar. Before you start, preheat the oven to 350 degrees. 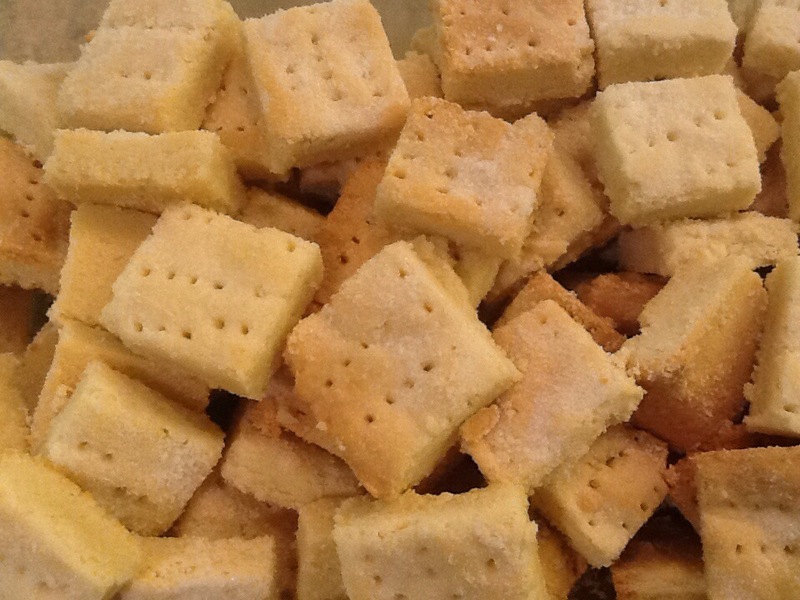 Make sure you have let the butter soften at room temperature, then chop it into smaller chunks or cubes. 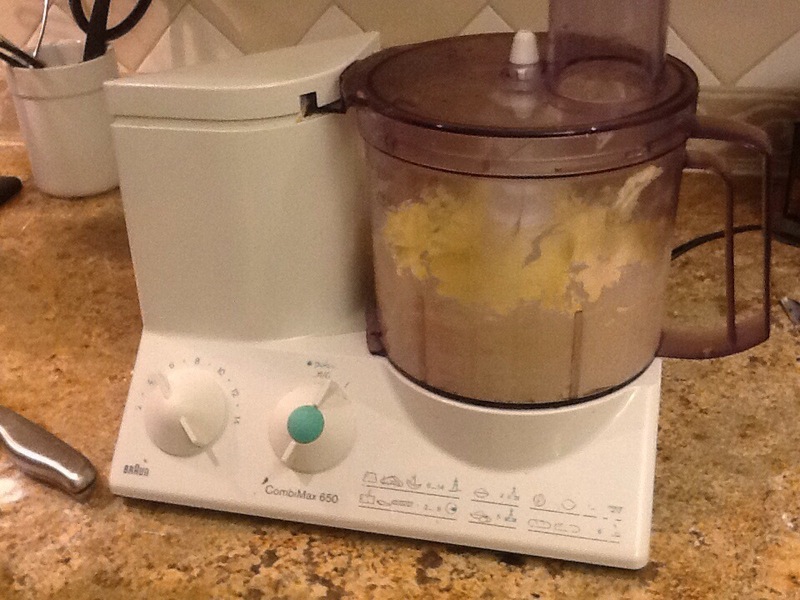 Then, put the butter into the food processor and blend it for a few minutes. Then, slowly pour the sugar in. 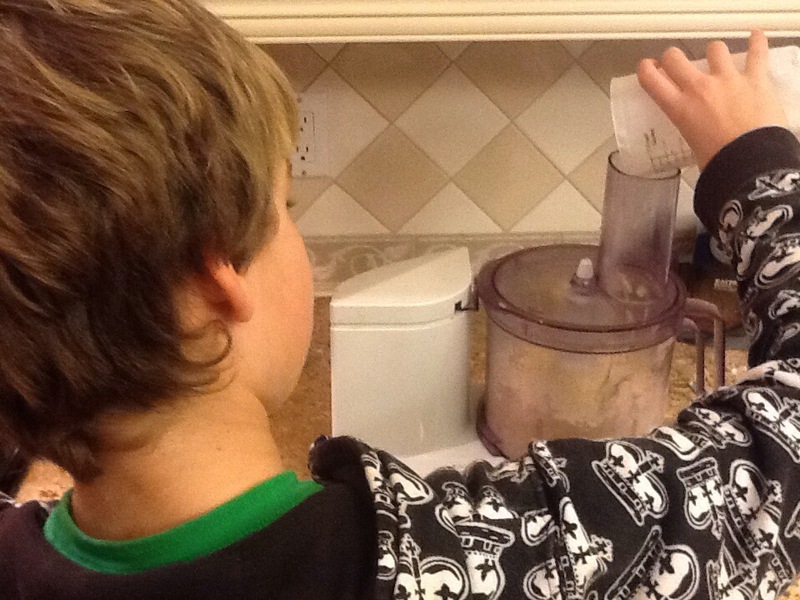 I let the food processor go for 3-5 minutes, depending on the speed. You want it to be light and fluffy. 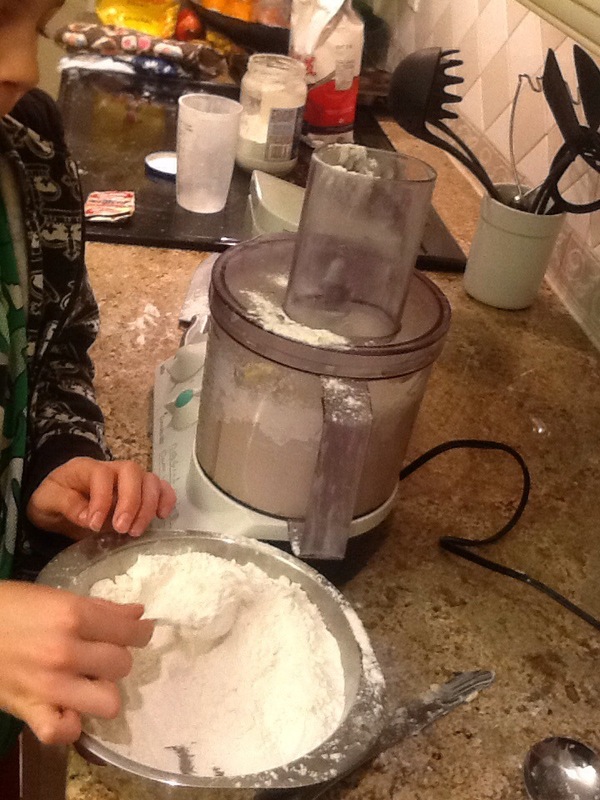 Then, in a seperate bowl, mix the flour and rice flour, then slowly add to processor. We added a spoonful at a time. 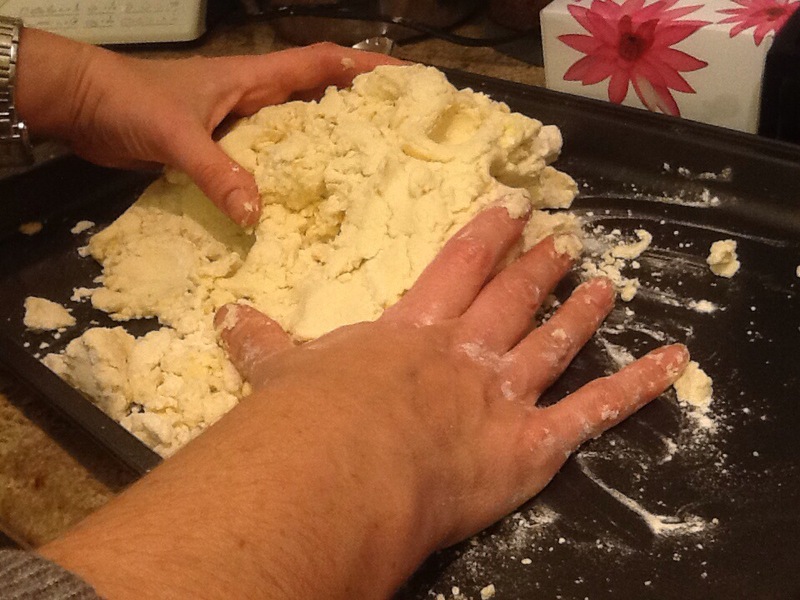 When you have mixed in all of the flour, pour out the mixture onto the cookie sheet. Kneed it a little by hand to ensure everything has mixed together. 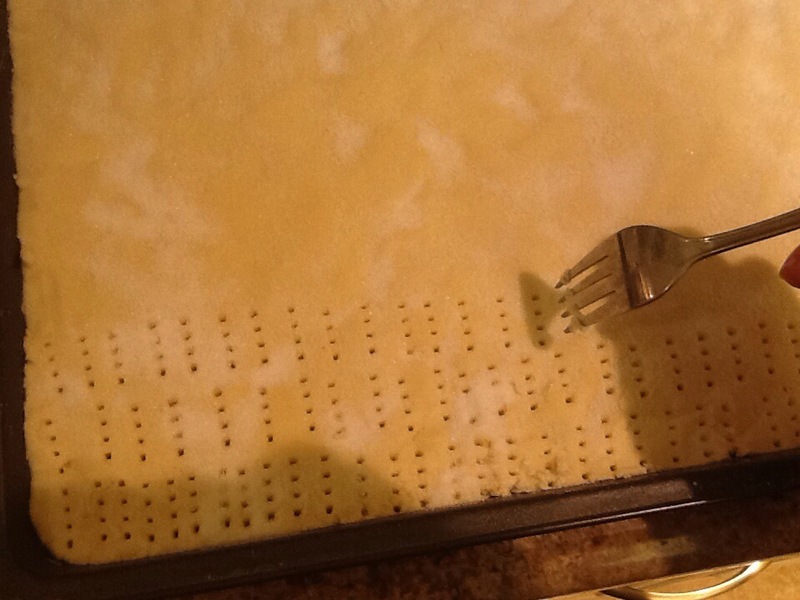 I do this right on the cookie sheet. 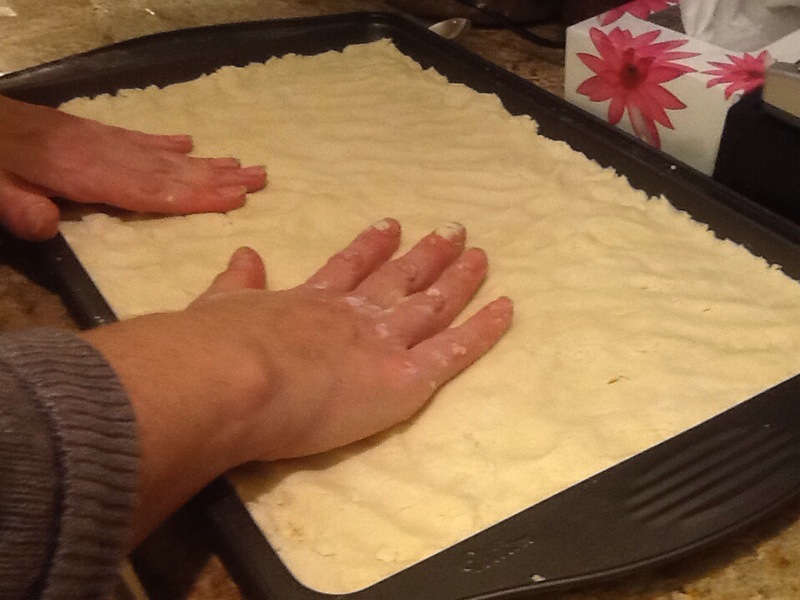 Then, pat it flat onto the pan. 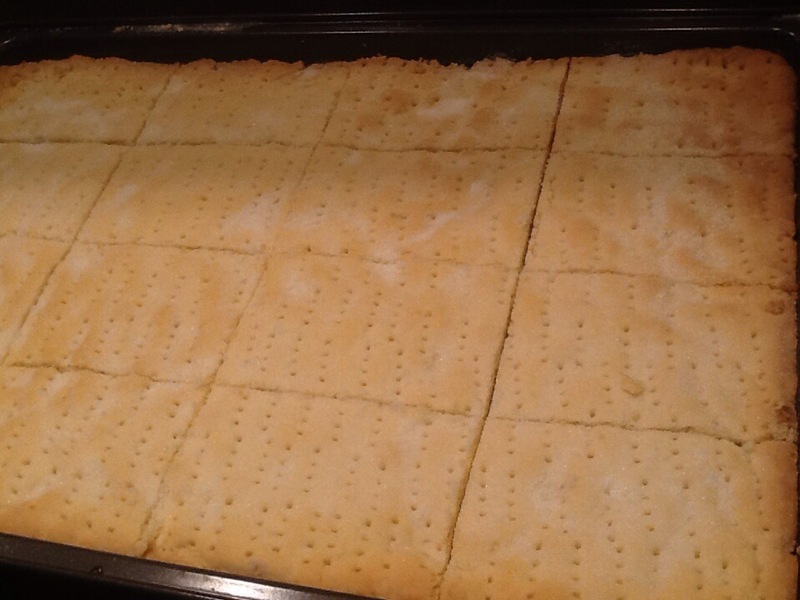 The trick is to cut them right when they come out of the oven. They are soft, and cut easily without crumbling. 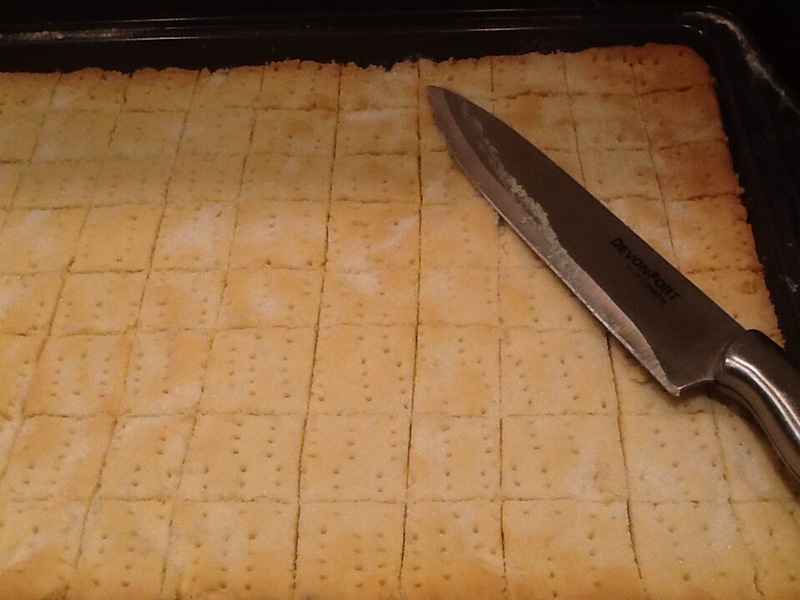 If you wait until they cool, they harden and it will be much more difficult to cut. 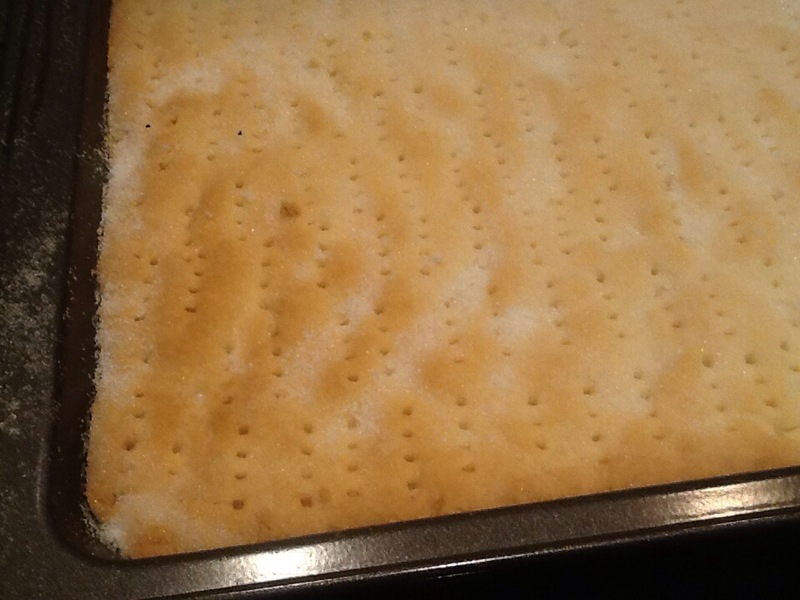 I let them cool in the pan. 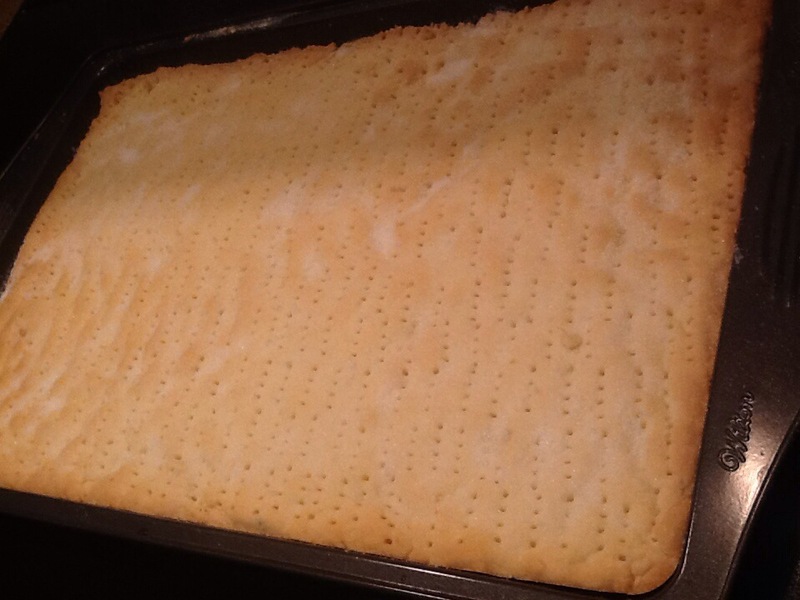 If you try to take them out too soon, they will be more likely to crumble, but they do taste delicious when warm! They last about a couple of weeks, but like any baked goods, are better fresh. This was my fourth batch this week. 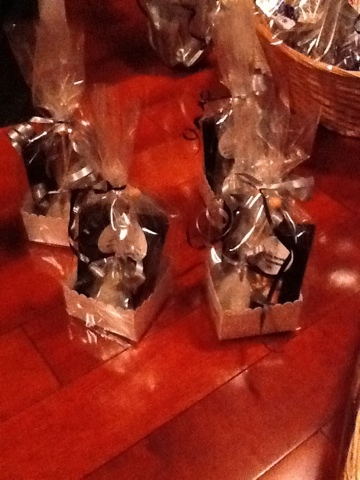 I gave it out as presents to the kids teachers, friends, and hostess gifts. 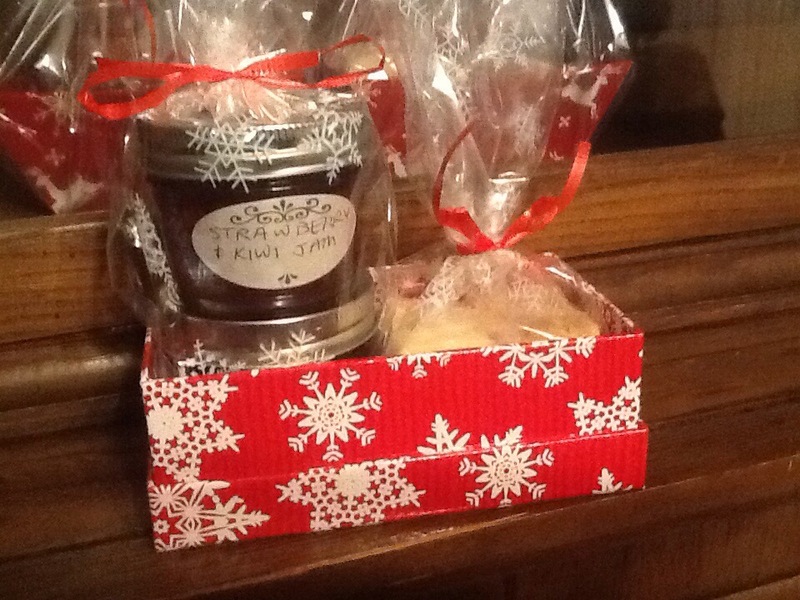 I packaged them up in a little box with a couple jars of homemade jam. 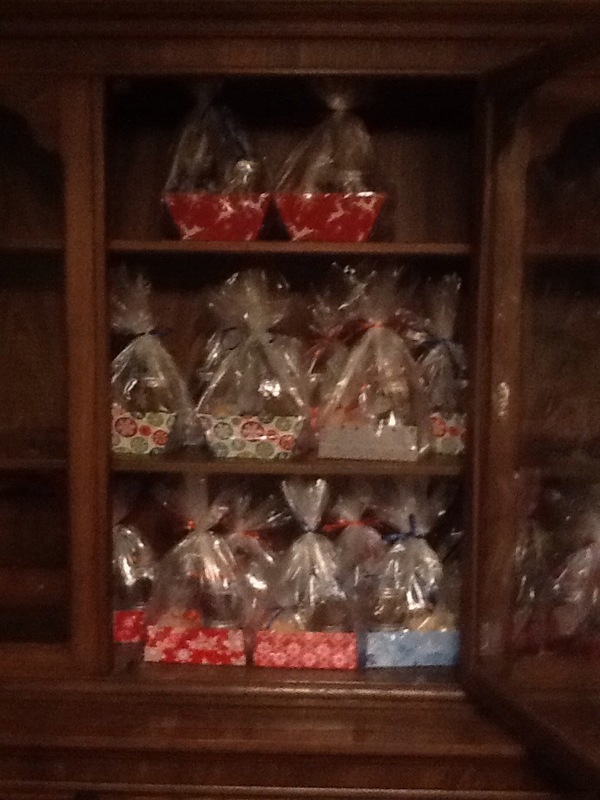 The kids had 14 teachers between them this this year, so I had quite a production line going on in the dining room this week. Thank goodness, it is all done! 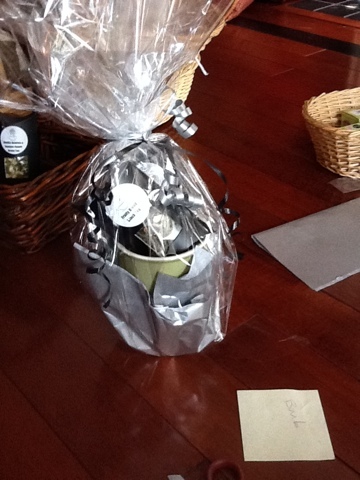 Gifts all delivered and we are now officially on holidays. 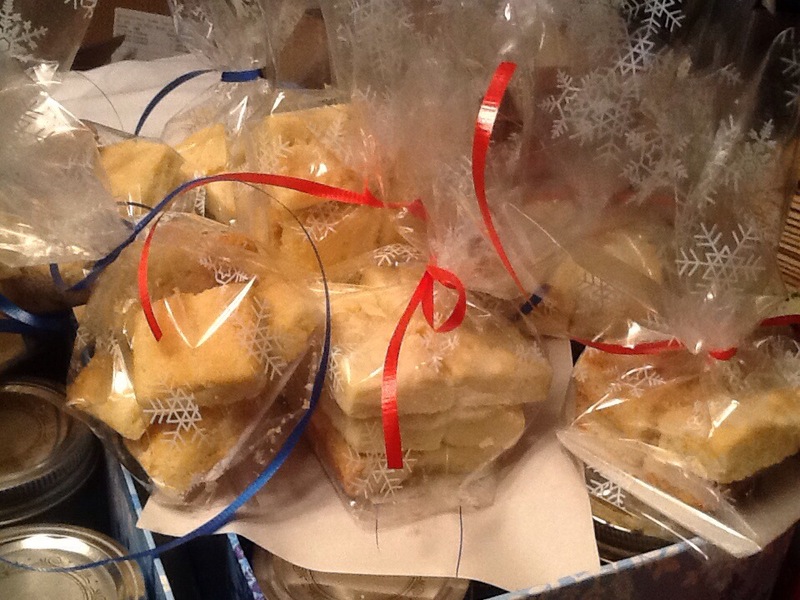 The last batch is for us to enjoy! Take care, enjoy the holidays! Ok, I am putting this as a separate post… As I am still learning how to blog, and I don’t want to make my posts too long! 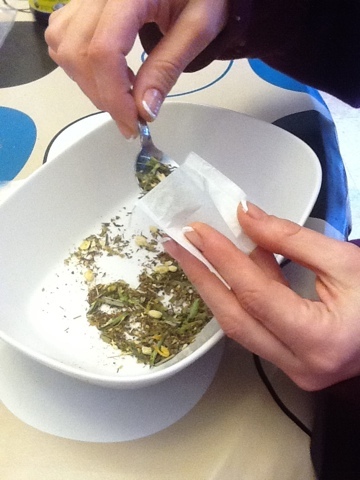 To make the tea bags, I put about a teaspoon of tea into each bag. I cut up my string into about 4-6 inch pieces. Then, I inserted one end of the string into the tea bag, and ironed it shut so it held the string in place. On the other end of the string, I used double sided tape to hold the tag closed, and the string in place. 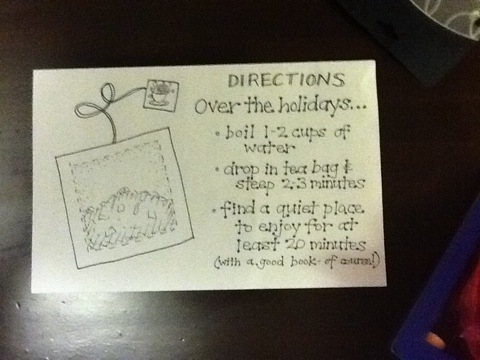 I ended up using most of the tea bags I made to include with the christmas card I gave to the people at my work. I put one tea bag into a small plastic bag and closed the bag by stapling on a little tag with instructions. I am lucky enough to actually have enough tea left to make a few cups for myself! 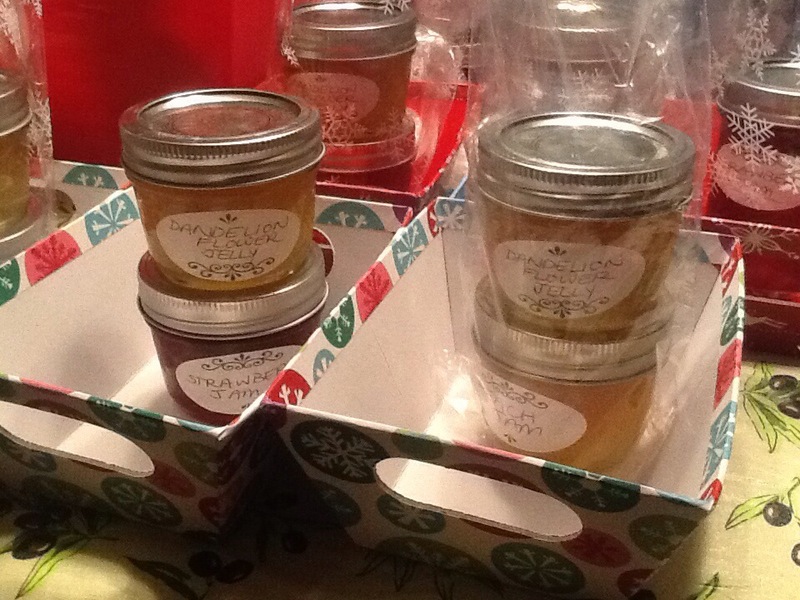 Every year I normally make close to 100 jars of jam during the summer, and for the past few years, I have given the jam as gifts to the kids teachers, friends, and family. 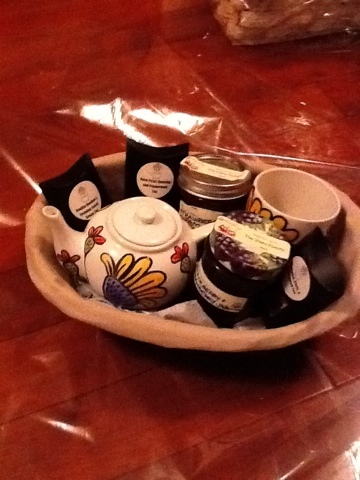 This year, I decided to try something new, and make some home made tea to go along with the jam. 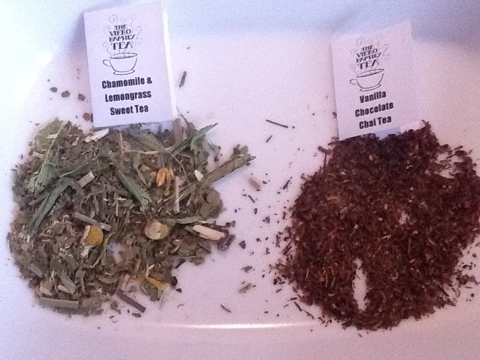 I got the ingredients for each tea from a few different places. From my garden, I dried the lemon balm, some of the chamomile, rose petals (must be pesticide free), and stevia (which is a natural sweetener). 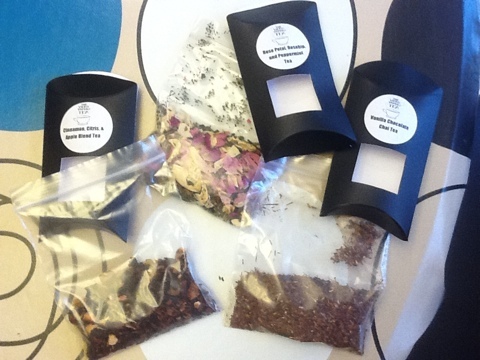 I ordered the jasmine flowers, some of the chamomile flowers, and the tea bags on line, from an organic grower in the states… I will try to find the name or link to the website (I haven’t tried posting a link yet!) I bought some of the green tea from a Chinese grocery store around the corner, and some of the other ingredients came from bulk barn. I also used my food dehydrator to dry a lot of the fruits that I put in the fruit teas, and the ginger. 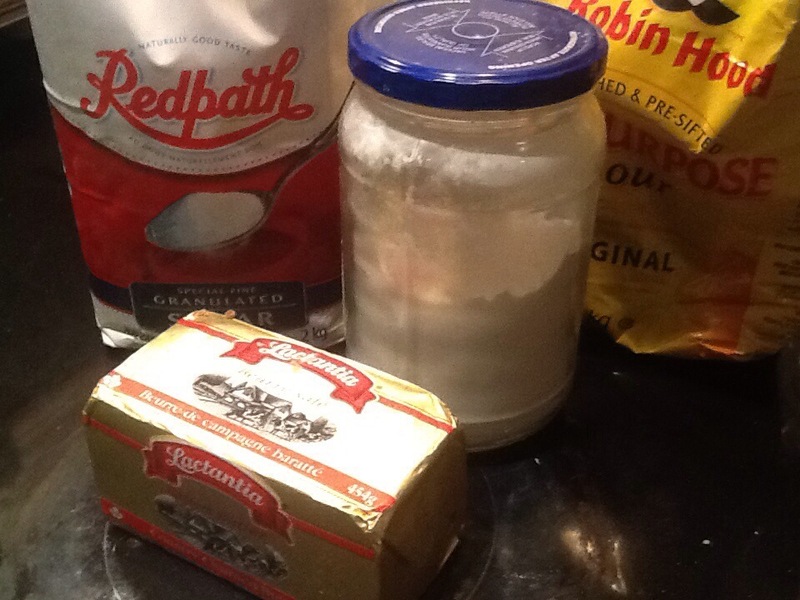 Basically, I started by mixing a teaspoon of each ingredient, made myself a tea, and if I liked it, I mixed a larger batch. 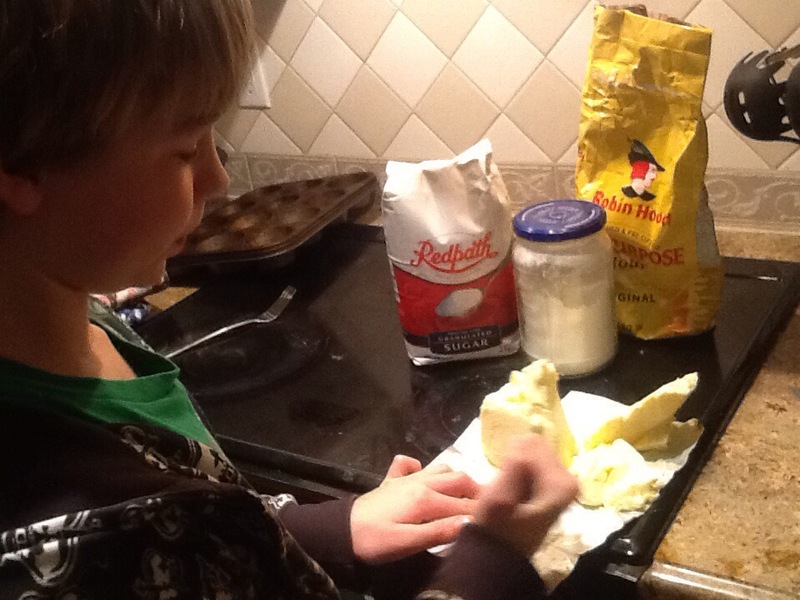 The kids loved helping to mix the ingredients. After I mixed each type of tea, I scooped a few tablespoons into sealable plastic bags from the dollar store, and then used wedding favor boxes from Michaels to put the bags in. 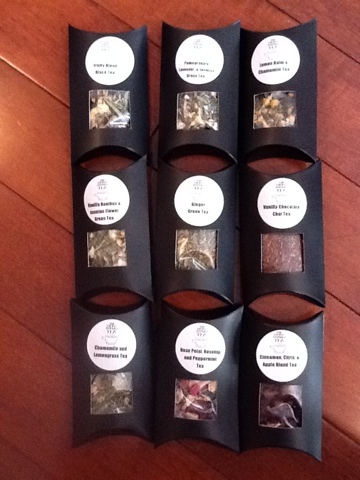 I thought the tea was too pretty to be hidden in a box, so I cut a window in each box with an exacto knife. At Michaels, they also sold pretty little jars and the small metal tins that would work well too…look in the wedding favors section is a store or online would probably be the best place. 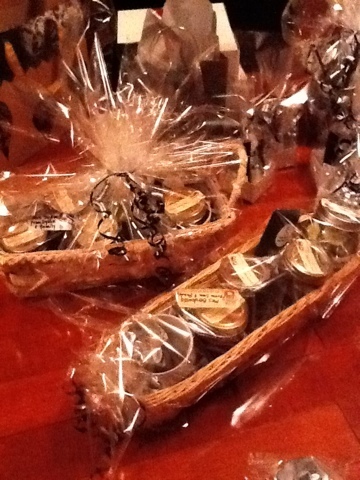 Here are a few pictures of some of the gift packages I made up. For some, I added a couple packages of tea along with a sugar stir stick. For others, I put a travel mug with a couple packs of tea, others I made into larger baskets, adding jam, or hand painted mugs or teapots. I almost forgot, I also drew a little “Viero family tea” logo, scanned it and printed it out to put the labels on the front, and the ingredients on the back. If you buy a pack of Avery labels, their website has free templates you can download for all of their labels -all you have to do is type in the style number. 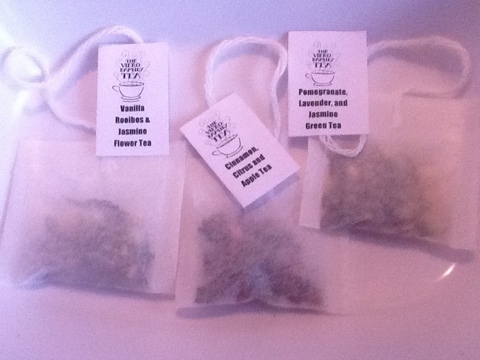 This post is getting really long… I will make a separate post for how to make the tea bags….also post if you would like me to post the types of tea I made with the ingredients.